IDET stands for intradiscal electrothermal therapy. 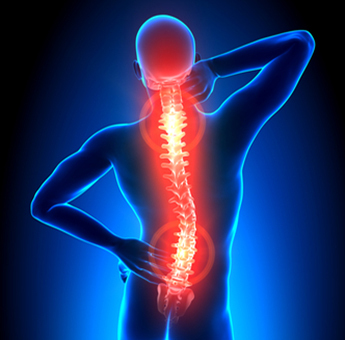 It is a procedure that is directed towards reducing pain arising from the lumbar disc. It is often performed as an outpatient procedure. It primarily involves cauterizing the nerve fibers that supply the disc and thus helps in reducing pain. Who needs Intradiscal Electrothermal Therapy? IDET is offered as a treatment option in patients who have chronic low back pain. This low back pain may occur due to injury to the lumbar discs or even lumbar disc prolapse. It is offered to patients who have attempted at least six months of conservative treatment for lower back pain including rest, physical therapy and medical therapy. It helps avoid the requirement for complex surgical procedures. What are the steps in Intradiscal Electrothermal Therapy? IDET is performed under mild sedation and with the aid of a local anesthetic. The area where the procedure is to be performed is cleaned with an antiseptic solution and local anesthetic is injected into the skin and the surrounding tissues to numb it. Following this, a hollow introducer needle is inserted into the back all the way to the area that needs to be treated under the guidance of an x-ray device called fluoroscope. Through this needle is inserted an electrothermal cauterizing probe all the way to the lumbar disc affected. The tip of this probe is gently heated up to 90 degrees Celsius for around 15 min. The heat generated thickens the collagen fibers within the disc and helps close any torn areas of the disc. The heat also destroys any nerve endings nearby, thus reducing pain. The patient may take up to 2 months after the procedure to show any significant benefit. Patients may experience a significant reduction in pain and an enhanced quality of life. Patients usually manage to recommence the activities they used to enjoy and also find that they can sit for long hours at a stretch, which is something difficult to do in patients who have lower back pain. This form of treatment is still in the early stages of research and long-term follow-up studies are yet to be conducted. From the available evidence, it appears that patients do fairly well following the procedure and up to 75% of the patients find that their pain remains controlled at 16 months. These are very rare. Complications can include injury to the nearby nerves and occasionally an infection. Serious complications have not been reported as of yet.